$40 bonus for friends who sign up with GrabHitch! 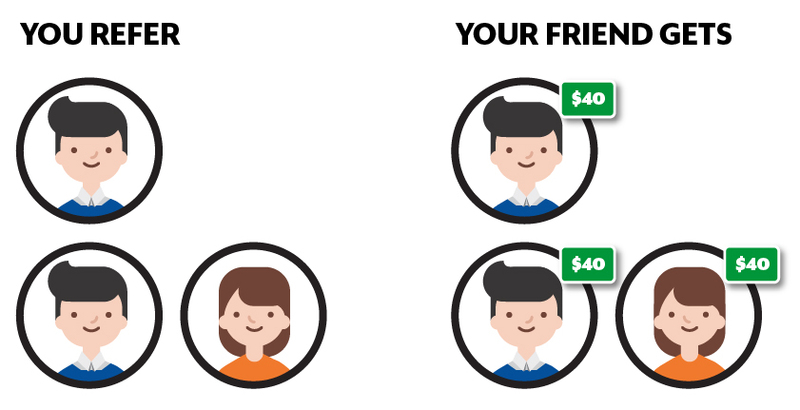 EXCLUSIVELY for you, refer a friend and he/she gets $40 bonus! Your friend gets a $40 sign up bonus when he/she signs up as a Hitch Driver with your referral code AND completes min ONE ride by 30th April 2018! As long as your friend has access to a car and min 1 year driving experience, he/she can sign-up for GrabHitch and start recovering his/her petrol expenses. This is the BEST Hitch sign-up offer one can find, so time to share about this exclusive lobang to your relatives, friends, colleagues or even your Hitch riders! Our top referrers have also used channels like whatsapp groups, office email threads and even their Facebook posts to share their referral codes so why don’t you try that too? Referring is actually VERY simple, let us do the work for you! Get them to open their Grab app and input YOUR Grab-Registered Mobile Number (65XXXXXXXX) into the referral code field during the sign up process. Your friend will get $40* in his/her driver wallet after he/she completes ONE ride as a GrabHitch Driver. Do remind your friend to do ONE ride by 30th April 2018*! For enquiries on our DRD scheme, or if you have additional feedback on GrabHitch, please email us at : support.sg@grab.com with the Subject: GrabHitch DRD (NewGH$40) and we will get back to you in 1-3 working days. Alternatively, do text us at 8429 9032 (Monday – Friday, 10am – 6pm) for assistance. 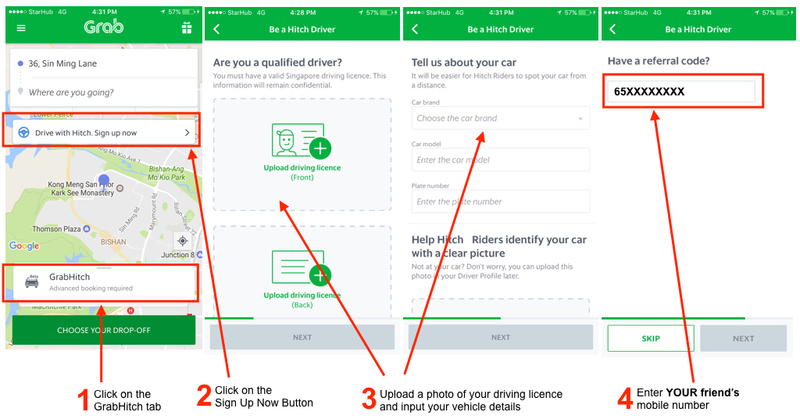 The $40 bonus for referred (new GrabHitch Driver) scheme runs from 1st April 2018 @ 00:00 hours – 30th April 2018 @ 12:00 hours. This incentive is exclusive for drivers who have received the EDM/in-app push/SMS stating this bonus. You have to apply with a valid Hitch driver’s mobile number (65 plus his/her 8-digit mobile number) and do ONE successful GrabHitch ride as a driver by 30th April 12:00 hours to count as a successful referral for your friend. After completing your ONE GrabHitch ride within the incentive period, please allow up to 10 working days after the incentive period has ended (i.e. post-30th April ) for the $40 bonus to be processed and transferred into your GrabHitch driver wallet.